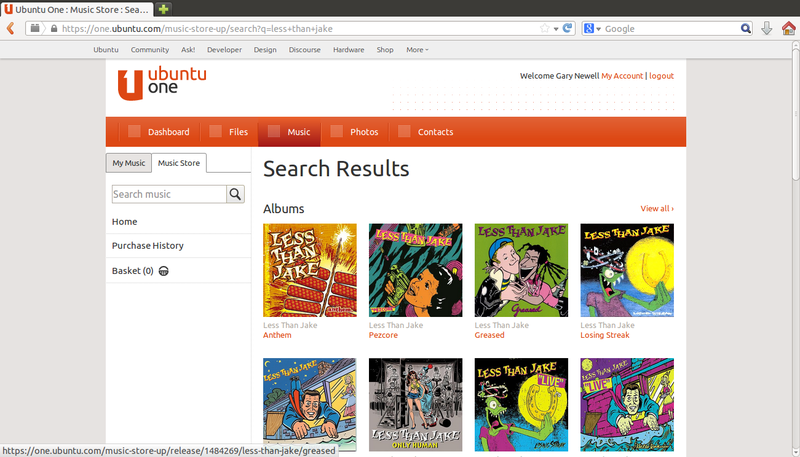 Ubuntu is the “Marmite” operating system within the Linux community. You either love it or hate it. This review is aimed at the Everyday Linux User target audience which is the guy that uses his computer for common home and desktop tasks such as surfing the internet, watching movies, listening to music and socialising online. Click here to visit the Ubuntu download page. When you click the “Desktop” option you will be redirected to a page where you are given a choice whether you want to install the long term support (LTS) release (12.04) or the latest release (13.10). I have already written a review for the Ubuntu 12.04 long term support release. 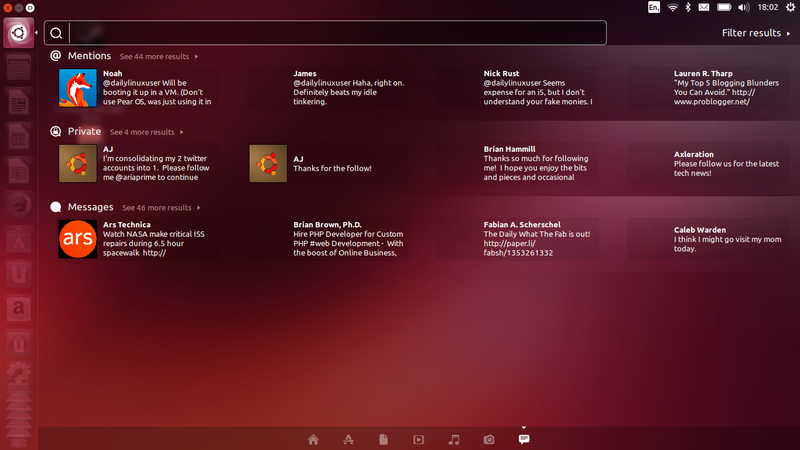 This review shows the features of Ubuntu and new features that have been added. As well as providing a choice of version (i.e. 12.04 and 13.10) you also have a choice of 32-bit or 64-bit. If you plan to install alongside Windows 8 then you must choose the 64-bit option. After clicking on the appropriate link you will be asked to donate money to the Ubuntu cause. If you are generous then you can supply a donation but if not you can download the software for free. The Ubuntu ISO file will now be downloaded to your computer. When the ISO file has finished downloading you can use a DVD burner to burn the image to a DVD or you can use UNetbootin to install Ubuntu to a USB drive. If you can’t be hassled with all that then click here to buy Ubuntu on DVD or USB. Click here if you want to dual boot Ubuntu with Windows 8. Click here if you want to dual boot Ubuntu with Windows 7. Click here if you are upgrading from Ubuntu 13.04 to Ubuntu 13.10. If you are upgrading from any other version of Ubuntu then you should read the release notes for Saucy Salamander (Ubuntu 13.10) before continuing. As we enter 2014 I am going to talk less and less about the option of dual booting as this really is something only a small subset of people really need to do. If you want to try Ubuntu before committing full time then use Oracle Virtualbox within Windows and boot Ubuntu as a virtual machine or try the Live DVD with persistence until you are ready to commit. Ubuntu is better than Windows 8. Ubuntu is better than Windows 7, Windows Vista and Windows XP. With that in mind do you really need Windows on your computer. Unless there is a key piece of software that you use at home that doesn’t run on Linux then you can dump Windows for good. 5. At the point of partitioning the easiest way to install Ubuntu is to select the replace your existing operating system option. Ubuntu will install to your drive and you will be up and running. People who think that installing Ubuntu is difficult should compare a Ubuntu install to a Windows installation. (That includes all versions from Windows 95 to Windows 8). Click here for the full Ubuntu 13.10 installation guide. 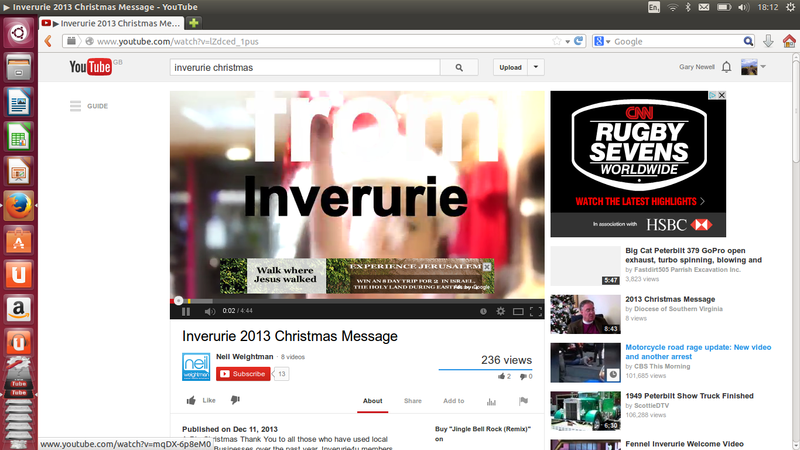 One of the reasons that Ubuntu has become the “Marmite” operating system is the Unity desktop interface. If you just like to use your computer and you aren’t that bothered about customising things too much then Unity may be right up your street. Along the top of the screen is a panel which includes icons on the right hand side. The icons include keyboard layout. online accounts, networks, bluetooth, power settings, audio, clock and user settings. If you thought that Windows 8 was the only operating system without a traditional menu then you would be wrong. 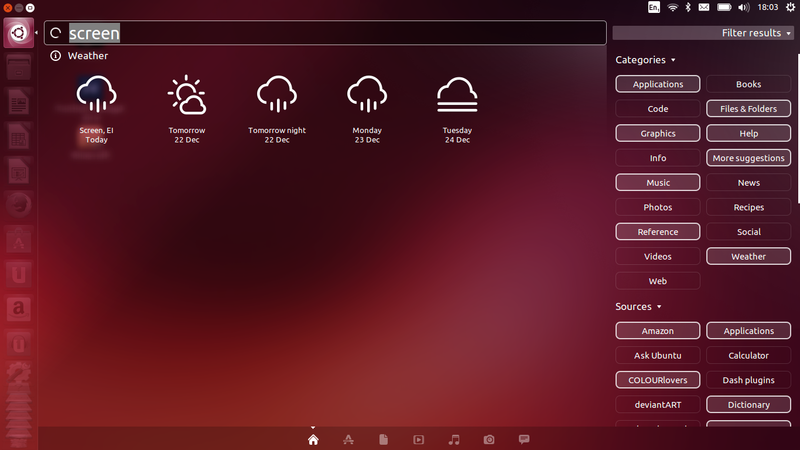 Ubuntu dispenses with a menu by introducing the Dash. To bring up the Dash you can either press the “Super” key (Windows icon on most computers) or click the first icon on the launcher. The view may seem confusing at first but once you get used to it you will appreciate its beauty (or not). The Home lens includes a search bar, a row of recently used applications, 3 rows of recently used files. You will notice in the top right corner a filter results option. Clicking on the filter results lets you narrow down the results. 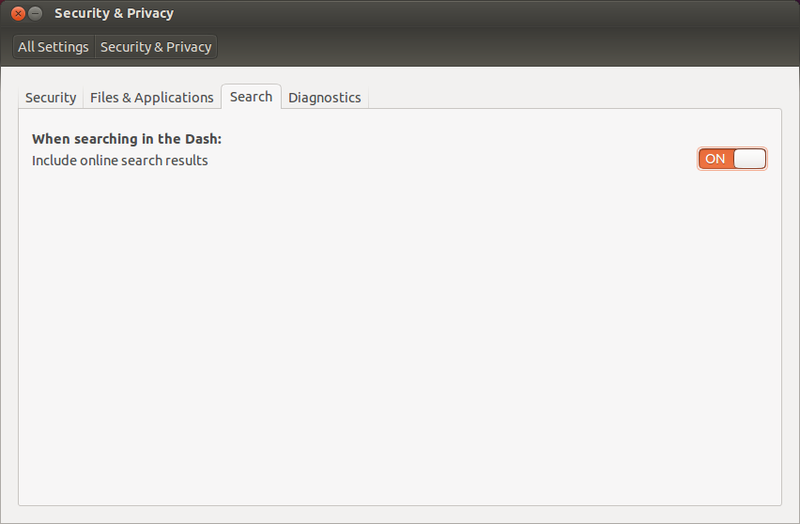 When you search using the Dash you will receive both online results and results local to your computer and therein lies another of the reasons that Ubuntu is a “Marmite” distribution. Some people aren’t that keen on their privacy being interrupted outside of their web browser. You can turn off the online results by going into the privacy settings and turning off the “include online results when searching in the Dash”. You can read the full privacy agreement here. If all this is too much to take then consider using one of the Ubuntu derivatives such as Kubuntu, Lubuntu or Xubuntu. Connecting to the internet is as easy as clicking on the network icon and selecting the wireless network you wish to connect to. If your wireless network is secure you will be asked to enter the security key. To play Flash files and listen to MP3s you will need to install the Ubuntu Restricted Extras package which can be found in the Ubuntu Software Centre. During the install you will be asked to accept the EULA agreement for True Type Fonts. To do this you will need to press the tab key to select the “OK” button and press enter to continue. Ubuntu is blessed with a great set of applications to get you started. For web browsing FireFox is installed and for email you have Thunderbird. Empathy is installed for instant messenging and XChat is installed as an IRC Client. LibreOffice is installed as an office and productivity suite. GIMP is installed for editing images and Rhythmbox is installed for listening to music. Totem is the default video player. For installing applications that aren’t installed by default there is the Ubuntu Software Centre. It isn’t the greatest tool in the world and it shows as many paid for results as it does free ones. Finding applications is easy enough by using the search facility in the top right corner and the results can be sorted in various ways such as by relevance, rating etc. 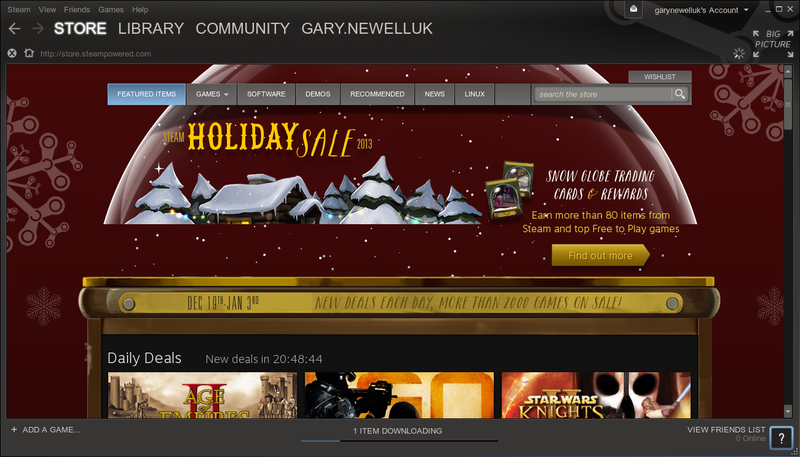 Ubuntu has Steam included in the software repositories which brings gaming to Linux in a big way. 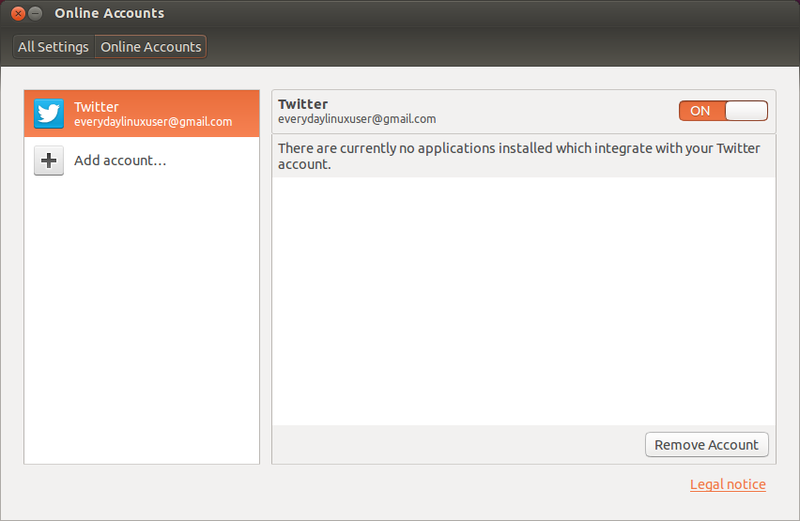 One of the things that you can do in Ubuntu is attach a number of social accounts. For example if you have a Twitter, Facebook or Google+ account you can add them to your Ubuntu online accounts and then you will be able to view new messages from the Dash. One thing you should always consider is whether you have your most important files backed up sufficiently. Now some people don’t back up at all and that is a huge mistake. Others back up to other computers or external hard drives. Whilst backing up your files to computers in your own home is good there is one thing you should consider. What happens if your house catches fire or is burgled? You may well have heard of Dropbox or Google Drive which allows you to backup your files online. 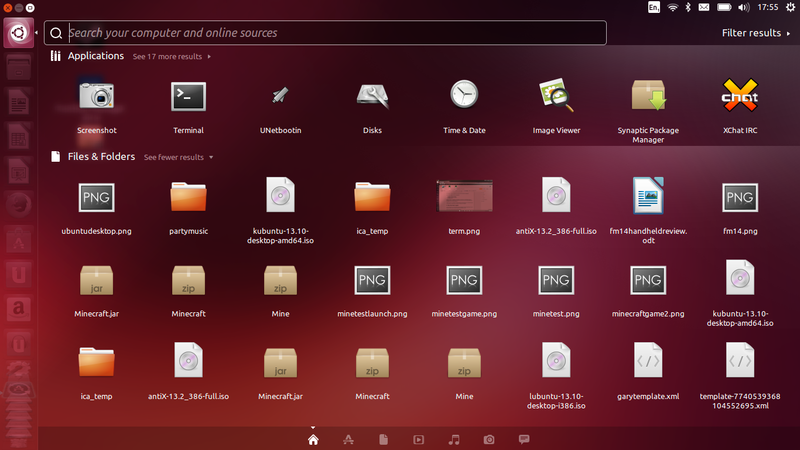 Ubuntu has the Ubuntu One service which enables you to store files on Ubuntu servers. This is a good place to store family photos and important documents. You can store 5 gb of data for free. You can get 20gb for £2.99. 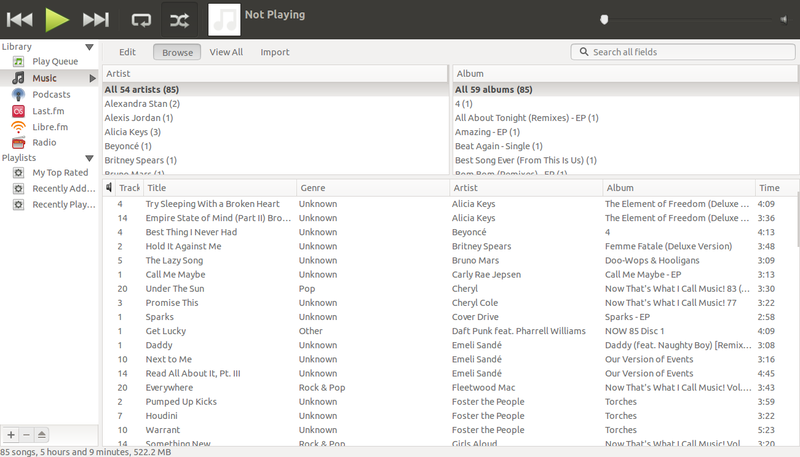 Ubuntu makes money in a number of different ways and one of those is via the Ubuntu One Music store. The site hasn’t got the back catalogues that other music sites have but the prices are competitive and by buying just one track you get 20gb free on Ubuntu One for 6 months. The online search results that are shown in the Dash are returned from Amazon. There is also a link in the launcher that takes you straight to Amazon. When you visit certain sites such as Youtube for the first time you will be asked whether you want to install it to your operating system. 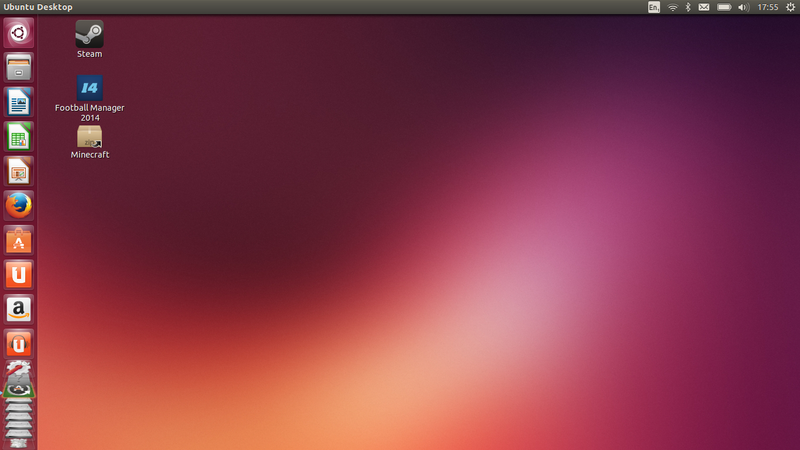 What this does in Ubuntu is to add an icon to the Launcher. The Unity desktop can easily be navigated using the mouse but if you can get used to keyboard shortcuts then your experience will be considerably enhanced. One of the reasons that Unity doesn’t need you to customise it is because it is very intuitive in the first place. By holding the “Super” key down for a few seconds you will be able to see a crib sheet with a list of shortcuts. Choose to filter Dash results in several different ways. 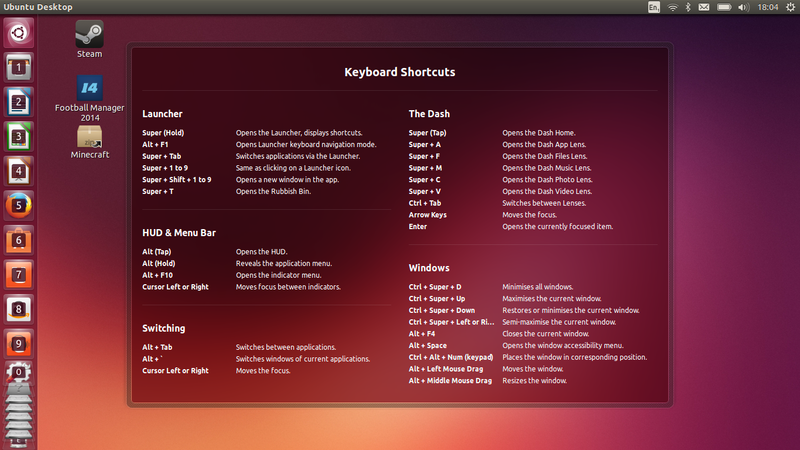 templates and built-in support for Ubuntu’s integrated menu bar. Is Ubuntu 13.10 for you? If you are a Windows user then definitely give it a go. Try it out in a virtual machine first and commit to giving it a real go. I am 100% sure that you won’t regret leaving Windows behind. If you are using a version of Ubuntu prior to Ubuntu 12.04 then you need to at least move to Ubuntu 12.04 otherwise you are unsupported. If you are using Ubuntu 12.04 should you upgrade to 13.10? Well that is a judgement call. If you need the support and you aren’t too bothered by the new features in Ubuntu 12.10, Ubuntu 13.04 and Ubuntu 13.10 then you can stay where you are. The performance does seem to be much better in Ubuntu 13.10 and there is a level of natural progression. If you are using Ubuntu 12.10 or Ubuntu 13.04 then you are already away from the LTS release so you may as well upgrade just to keep up to date. If you are using any other version of Linux then I can’t believe you haven’t tried Ubuntu at some stage. If your only attempt at using Ubuntu was during the version 11 releases then give it another go. It is much better than it was back then. Remember you can still get all the good things that Ubuntu brings but without some of the “Marmite” features by using a derivative such as Xubuntu or Kubuntu. One of the best and detailed reviews I've seen of Ubuntu 13.10. It's nice to see a review where the distro is looked at from the eyes of who it's really made for. A very complete review! I'm impressed. Shame you will not be talking about dual booting Linux/Windows anymore but that opens a place in the blogosphere ecosystem so maybe someone picks up that interesting topic, now that Windows XP is coming to an end and users could be tempted to install Linux alongside XP to surf the web safely, use Multimedia and Office apps and keep XP for gaming and the odd app but this is me dreaming about Linux getting some of the XP crowd but I've seen how your post about dual booting Ubuntu/Windows 8 is popular online… Anyway this is an excellent review of Ubuntu 13.10 and I'll recommend it to my friends that want to know more about Ubuntu and all things Linux. I installed Ubuntu 13.10 yesterday having used Windows 7 for a few years and XP before that and am very happy so far. I tried Ubuntu a long time ago and gave up as I found it impossible to install anything not in the software centre. I'm impressed that I have already successfully installed Sopcast, rubyripper and Pipelight(to watch Sky Go which I had thought impossible until today) relatively painlessly. I now have no reason to go back to Windows. Thanks for the review. I didn't know about the Windows button or turning off online results, both of which I am now using. I did find the icons on the left cluttered and messy but having now got rid of the stuff I won't use and putting useful things there instead (terminal, show desktop, Thunderbird etc.) I can see the value of it. quite a nice article on ubuntu. helped me a lot over the topic. to read more on UBUNTU operatig system you may also visit the following link.